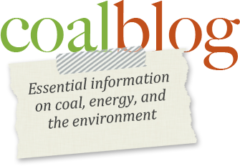 Editor’s note: In this article, Ron Arnold takes a close look a the many issues associated with the EPA’s continued overreach in the area of regulation, their close working relationship with extreme environmental groups, and their drastic proposed changes to the Waters of the US rule. This article is reprinted with the permission of the author. Twenty-nine states, more than half the stars on the American flag, have filed lawsuits against the U.S. Environmental Protection Agency for redefining the “Waters of the United States,” or WOTUS. 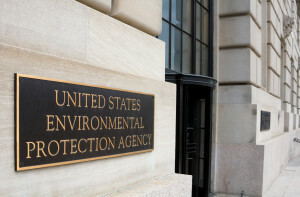 EPA rewrote the law, erasing “navigable” and usurping states’ rights by including local seasonal streams, farm irrigation ponds, roadside ditches, and even “connective” dry lands placed under authority of the Clean Water Act. The astonishing response began on the afternoon of June 29: states teamed up in clusters to file their lawsuits in U.S. District Courts. Utah and eight others filed with Georgia in Augusta’s U.S. District Court; Alaska and eleven others filed with North Dakota in Bismarck. Days later, Mississippi and Louisiana filed with Texas in Galveston; Michigan filed with Ohio in Columbus; Oklahoma filed alone in Oklahoma City. Each state lawsuit asked a federal judge to declare the WOTUS rule illegal and issue an injunction to prevent the EPA and Army Corps of Engineers, co-administrators of the rule, from enforcing it. Each state also asked the judge to order both agencies to draft a new rule that complies with the law and honors state authority. The WOTUS rule is so alarming because it enables agency bureaucrats to control virtually anything that gets wet, including a desert dry wash that gets a “drizzle” – actual EPA language criticized by House Science Committee Chairman Lamar Smith (R-Texas) at a Heartland Institute conference in Washington in June. The alarm over WOTUS is not just about strangulation by regulation. Corruption has become a primary issue: evidence has emerged that EPA officials unlawfully lobbied crony green groups to send “one million comments” supporting the rule, according to a May 19 New York Times article. The Army Corps of Engineers examined the comments and the Senate found that 98 percent appeared to be non-substantive mass mailings. Three lawmakers from the Senate Environment and Public Works Committee, Chairman Jim Inhofe (R-OK) and two subcommittee chairmen, Dan Sullivan (R-AK) and Mike Rounds (R-SD), immediately sent a letter to EPA Administrator Gina McCarthy demanding answers about rigging public input with YouTube videos, Twitter accounts and many other social media marketing tools. Although the senators focused on misdirection of staff time and taxpayer funds, most of their concerns – except for obtaining a legal opinion prior to campaigning – can be sidestepped with the EPA’s powerful Left-green network, a fact that emerged coincidentally when Heartland Institute researchers looked into Rep. Lamar Smith’s “drizzle” remark. The million-member Natural Resources Defense Council has a long crony history with EPA: it has had 33 employees on 21 highly influential EPA federal advisory committees from 2001 to 2013. The Sierra Club had 21 people on 12 EPA committees; National Wildlife Federation, 8 employees on 5 committees; National Audubon Society, 7 on 4; Friends of the Earth, 6 on 4. And so on. Even the huge NRDC couldn’t singly muster “one million comments” for WOTUS, but somebody could. Who? Those five groups are among the 20 Left-green members of the Partnership Project, a Washington, DC-based non-profit campaigning company that compiles and enhances all 20 membership lists with detailed demographic data, keeps each precious list secret from other members, and operates expertly managed collaborative campaigns for multiple members that agree to pool resources for mega-projects. Such projects are funded by massive foundation grants with no government money involved. Was the Partnership Project actually involved with EPA’s WOTUS campaign? We don’t know. We do know that several other high-dollar campaign powers are also available to the Left-green movement. It’s time to shine some light into those shadowy corners of American politics.